The three bedroom and one and one-half bath home has been put on the market for $1.3 million by the original family. Currently used as a vacation rental, the home can be purchased as a private residence or continue its use as a tourist rental. Some major perks come with the purchase of the home, most notably: the future owners will not have to pay heating costs thanks to one of two natural gas wells located on the property. 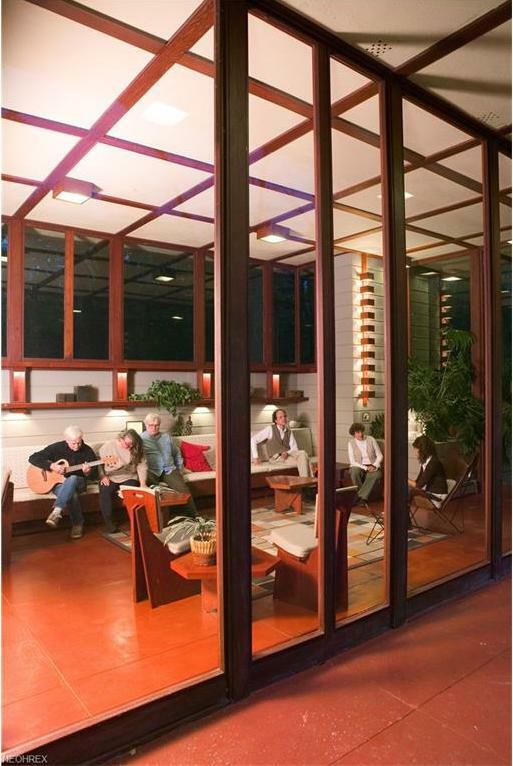 Also included in your purchase: all original Wright-designed furniture. 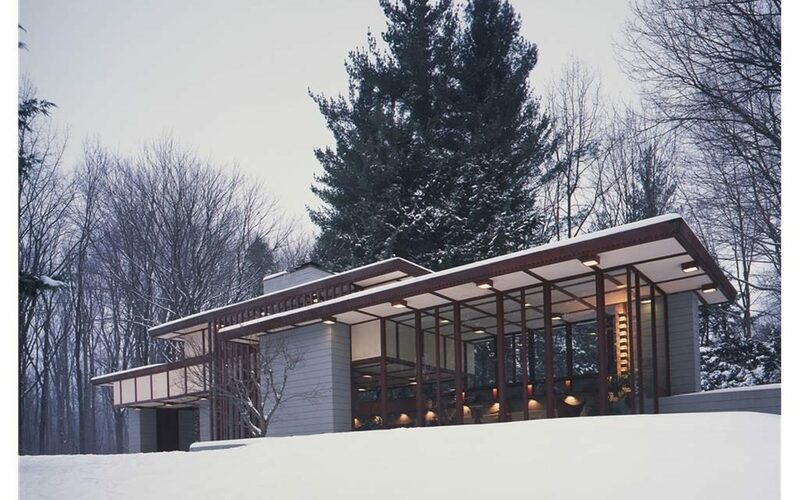 The Penfield House is a great example of how Wright always worked with his clients’ personal traits and the land in mind. 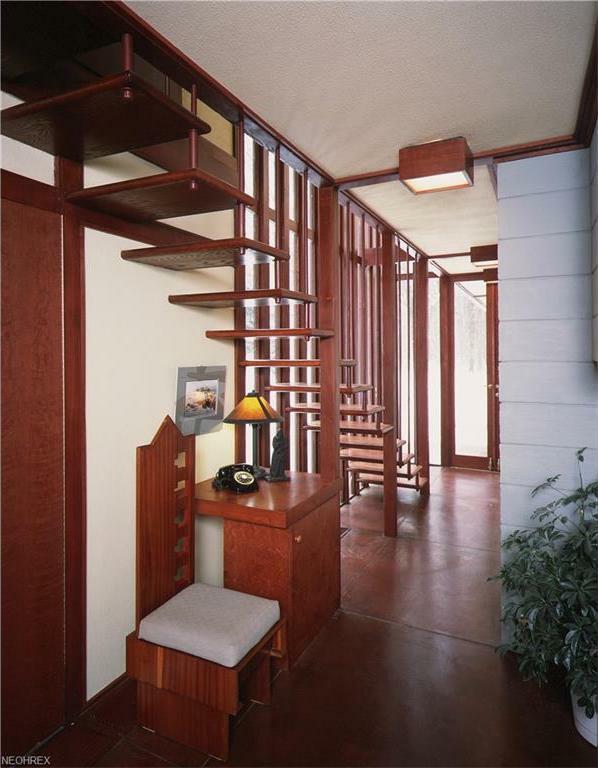 Months after a visit to Wright at Taliesin in Wisconsin, Louis and Pauline Penfield received Wright’s plans for the home in the mail, in which the home was designed to accommodate Louis tall frame — featuring high ceilings, narrow stairs with wide steps, and 16 ribbon windows. 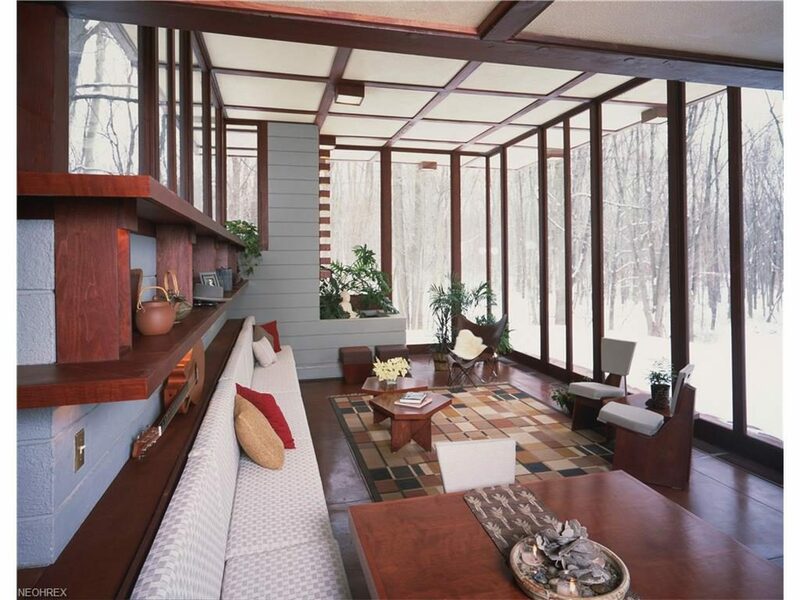 Built in 1955, the Usonian home is no exception to Wright’s belief of building of the land, not on it. 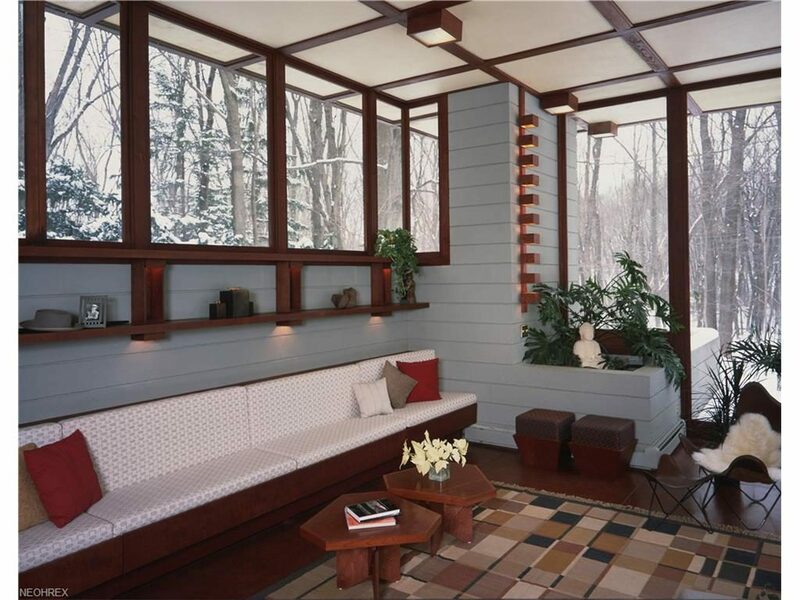 The home is situated on heavily wooded acreage, facing — and offering stunning views of — the Chagrin River. The home is across the street from protected forest, creeks and hiking trails. The Penfield House has been on the National Register of Historic Places since 2003, and is completely restored.